Podcasts as a medium for communication was largely ignored by political actors until 2015 and with good reason. Podcasts have had one of the slowest growth rates of any new communication medium (Edison Infinite Dial Research). Usage has grown by just 2% a year since 2006. In 2014 there was much interest in podcasts sparked by the success of the Serial podcasts. However, despite this interest growth continued at roughly 2% a year and 13 years on from 2006 just 17% of people now listen to podcasts weekly in the US (Edison research). This is despite the growth in smartphones which make podcasts available to around 80% of the adult population in the US and the UK. Podcast listening remained confined to a niche audience. This may be partly due to the nature of podcasts which require a podcast app, a lack of search facilities, the need to download episodes, etc. Notwithstanding the lack of interest, podcasts have always had significant latent potential for unmediated political communication. While the podcast audience is relatively small, listeners are ‘more likely to be college-educated, younger, and live in urban areas’ (Edison Research, 2015-2018). This is a core audience that progressive politicians and campaigns want to reach. In addition, in an age of falling trust in both the media and politicians, the podcast medium can generate a deep sense of connection (Llinares, Fox and Berry, 2018), build loyal relationships (Meyerson, 2010, Reed, 2012), and develop trust and bonding (Platt and Truant, 2013). Despite this latent potential, podcasts were not adopted by political actors in their repertoires of communicative action. Things suddenly changed following the June 2016 Brexit vote and the subsequent election of Trump. Following the election of Donald Trump over 1,000, mostly progressive, political podcasts were launched in the US (Vice, 2017). The Pod Save America podcast was launched in January 2017. From 2017 podcasts were being included in the repertoires of communicative action to reach and engage people politically. These podcasts found a receptive and eager audience. 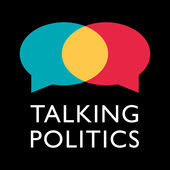 Political podcasts were popular and many made it regularly into the top download charts. News publishers recognised this demand for podcasts and produced their own political and news podcasts. Podcasts such as The Daily from the New York Times is now consistently one of the top most downloaded podcasts in the US. In the UK there are over 20 podcasts that just discuss Brexit. One of the popular shows Remainiacs gets over 50,000 downloads each week. Other popular podcasts include Talking Politics and Reasons to be Cheerful, hosted by Ed Miliband. The interest in political podcasts has not escaped the mainstream publishers with the BBC hosting many podcasts such as Brexitcast, Political Thinking, Pienaar's Politics and Westminster Hour. The Guardian, The Times, Daily Telegraph, Channel 4 and others all have political podcast shows, as do political magazines such as the New Statesman and the Spectator. Why Have Political Podcasts Grown? I have set out below some initial thoughts on why we have seen such significant growth in the use of podcasts as a medium for political communication. These are just ideas at this stage. I am about to start some research at the LSE looking specifically at the motivations, uses and gratifications of political podcast listeners, which will hopefully provide some empirical data later in the year. Podcasts provide the ability for political actors to reach an important target audience of younger, educated, urban voters. Thus podcasts represent a particular opportunity for progressive political actors though there are also some popular right wing podcasts. Ability for political actors to produce unmediated, unregulated content which can reach large numbers of people. Podcasts provide the ability for politicians to shape their brand identity unmediated (witness Ed Milliband, Hilary Clinton, etc). For activists podcasts provide the ability to reach, communicate, activate and mobilise people. Many social justice and other movements now use political podcasts from Greenpeace to LGBTQ groups. For more see The Conversation, 2017. The relatively low cost nature of podcast production means low barriers to entry for podcast producers. Podcasts provide an entrepreneurial opportunity for new progressive media companies such as Crooked Media, Novara Media etc. Large producers such as the BBC and New York Times adapting to the market opportunity and audience trends, which are able to scale quickly through their brand and content. The Brexit and Trump events increased levels of political interest particularly amongst young people and progressives who wanted to explore, in depth, the political reasons and implications, which could be satisfied in part by the long form nature of podcasts. Frustration in the way mainstream media was covering politics, with their focus on scandal, drama, horse race, and false balance. Podcasts generally provide a more reflective and nuanced approach to exploring political issues. Lack of trust in the mainstream media leading people to become more active, to navigate and self-select political content. A desire to learn, to gain political knowledge in a changing political world. Social utility. Previous studies have found social utility to be a predictor of podcast use, specifically to discuss the podcast with others. Identity formation and reinforcement, value confirmation. Individuals wanting to feel part of a like-minded community, and connect with people who think like I do. Practical benefits of the podcast medium. Podcasts fit with a time pressured lifestyle as they allow you to listen while walking, commuting or working out. They also allow you to timeshift listening to a time that is convenient for you. It would be great to get your views and thoughts, particularly if you are a regular listener to political podcasts. Some of the podcasts I regularly listen to are listed in this previous post on political podcasts.